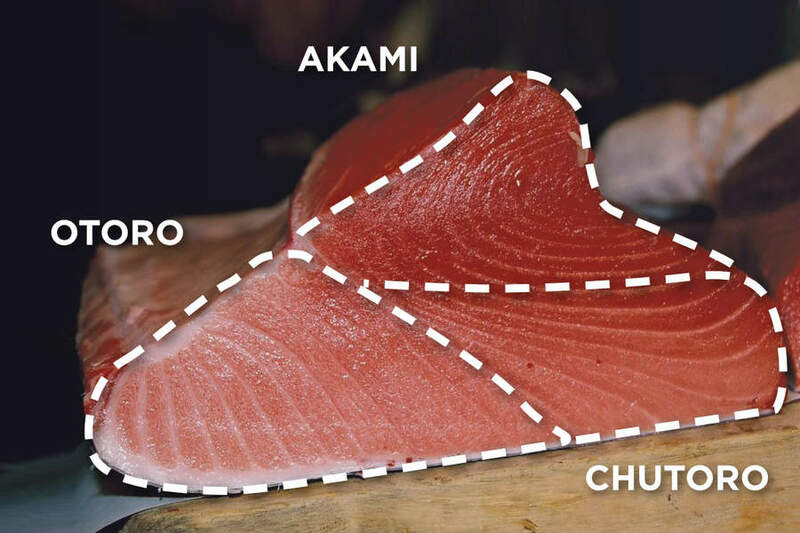 Akami (lean tuna loin) has the most umami tuna flavor of all other fattier cuts. 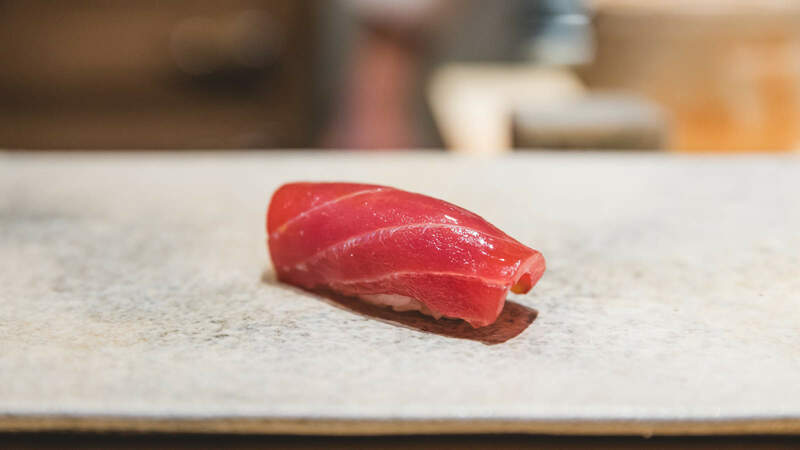 While toro melts in your mouth, lean tuna has more chew to it, allowing you to experience the strongest flavor of the fish. 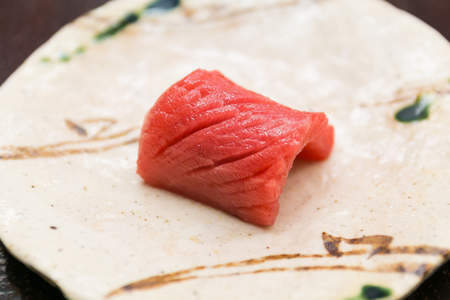 Even though toro is popular for its rich texture, many sushi experts herald akami as the best cut. Of course, this depends on the quality of the fish. Toro tastes like toro no matter which fish it's coming from, but akami allows you to appreciate the best possible flavor of a quality aged fish. Large fish like tuna usually need to be aged to bring out the most of their deep flavor, just like a steak. Right off the boat, the meat will taste a bit bland for most people's taste; it must be aged between two and ten days to bring out the richest tuna flavor. 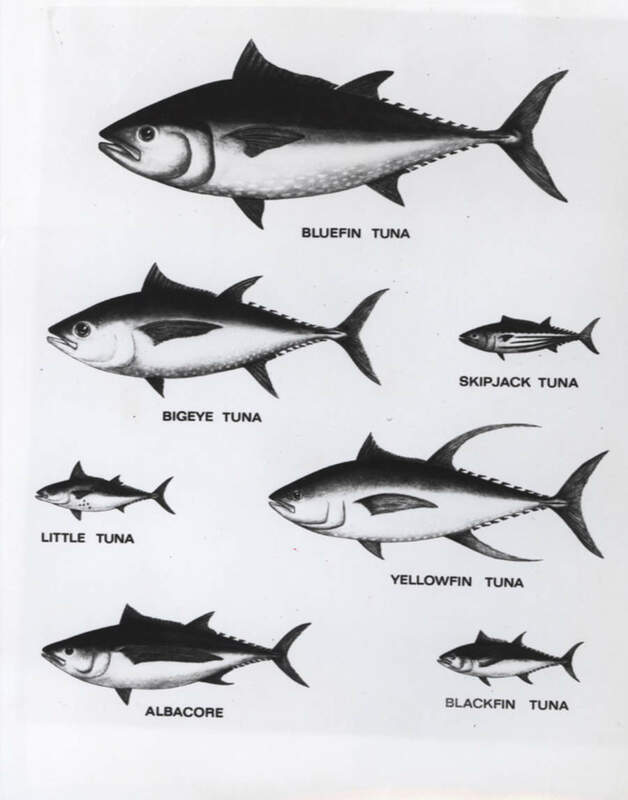 Tuna is a very difficult fish to butcher once the animal is killed, requiring many years of experience to know how to properly break down into sections for sale. It starts at the tuna auctions in Tsukiji Market, where the large fish are graded, evaluated, and auctioned off to bidders. These fish sell for thousands to hundreds of thousands of dollars, so any mistake in judging the quality is costly. 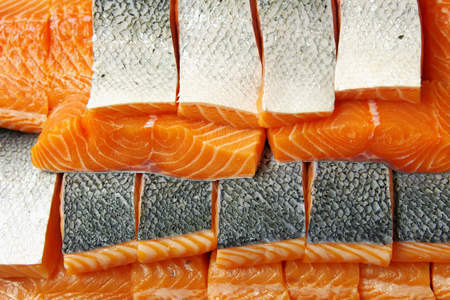 Then the whole fish is butchered (usually at market) using very long knives to produce several cross-sections for sale. A sushi chef will buy one or more of these cross-sections for further processing into blocks used for sushi and sashimi. 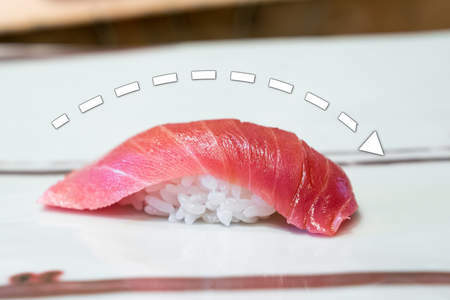 Aside from the standard preparation of sliced maguro on rice, another common preparation is zuke, in which a block of tuna is briefly plunged into boiling hot water to scald the outside. Once the outside is cooked with the center still raw, it is marinated in soy sauce to bring out the rich umami taste of the tuna. 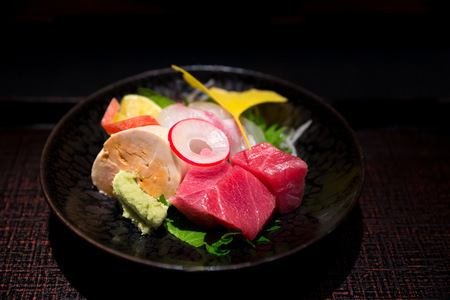 A similar preparation is tataki, where the tuna is seared over flame or in a pan to brown the outside. The difference is the tuna is not marinated and served as-is. 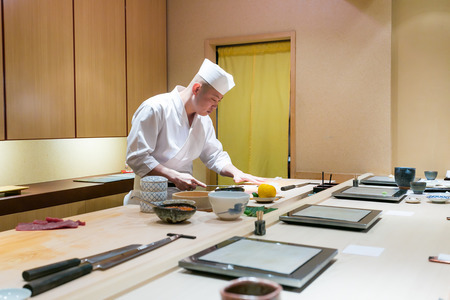 The technique is more popular in modern sushi restaurants where zuke is a very traditional Edomae preparation.